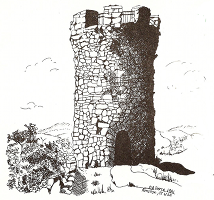 Castle Craig Certificate in PDF format. Print and fill in your information. Castle Craig Certificate in Open Office ODT format. Fill in your information and print. Castle Craig Certificate in Mac (OS X) Pages format. Castle Craig Basic Certificate and upgrade seal rules in PDF format. Castle Craig Plus Program upgrade worksheet in PDF format. Castle Craig Plus Program upgrade rules in PDF format. Castle Craig Member Roster, 2018 Rev 2 in PDF format. Because of how Web Browsers work, clicking on a PDF file will open that file for view in the browser. For OS X (Mac) users …. Right Click or <-Control-> Click and select …. 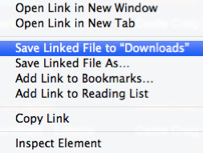 "Save Linked File to Downloads"
Archive files (ZIP, DMG) should start downloading automaticly, or ask to save the file. This ends todays computer tutorial!